Smith's Instruments are still manufactured in the UK as they have been for countless years, and in one of the last surviving factories. The digital motorcycle instruments were reintroduced three years ago and are manufactured in this same factory in Wales. Really helpful people. 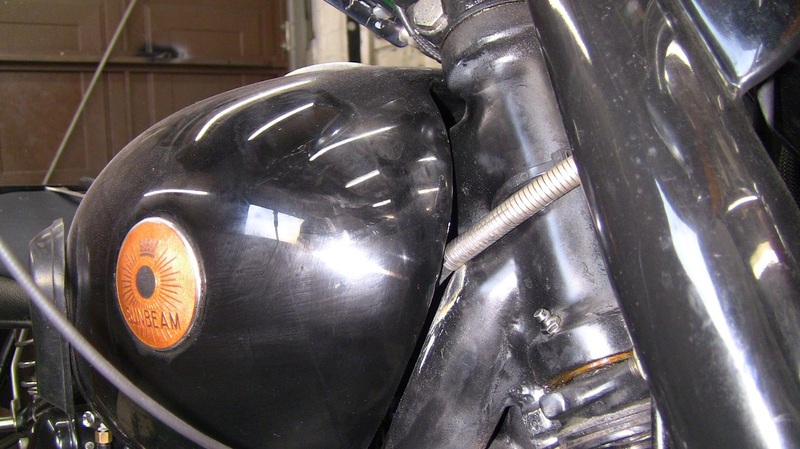 When ordering please specify if you want the bezel to be flanged to fit in the headlamp shell. The instrument itself is switchable between smooth mode and tick mode, that is the needle can sweep the dial or step as in the original mechanical instrument. 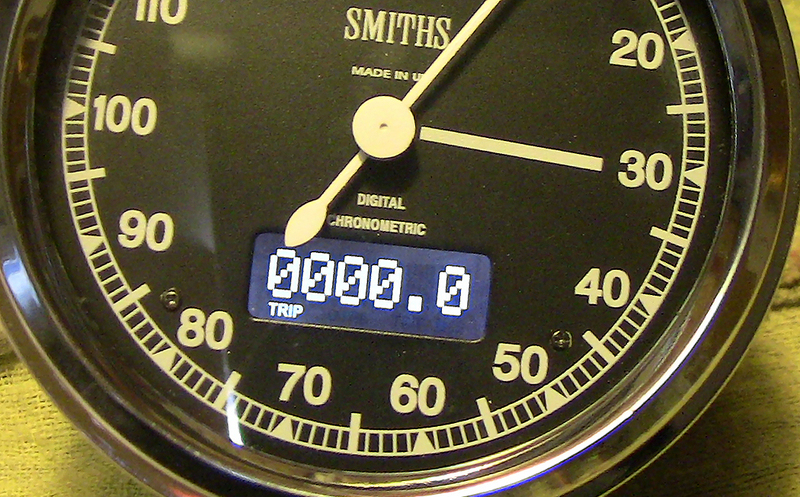 The display window shows both total mileage and trip mileage at the touch of a button. LED illumination is built in. All in all a very clever piece of design, plus it is British ! 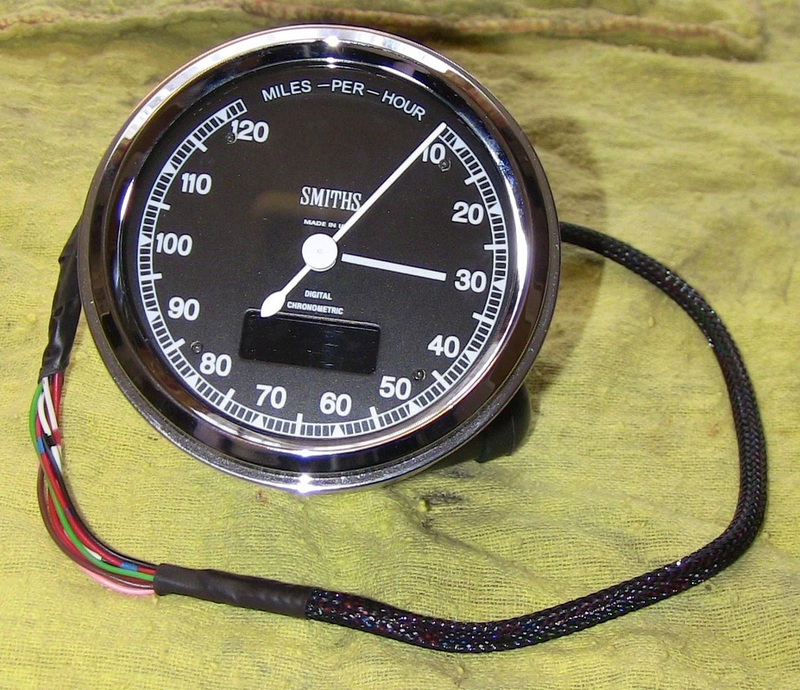 I found in my paticular instance by the time I had bought a secondhand instrument and then had it restored the cost was more than a new Smiths electronic speedometer. 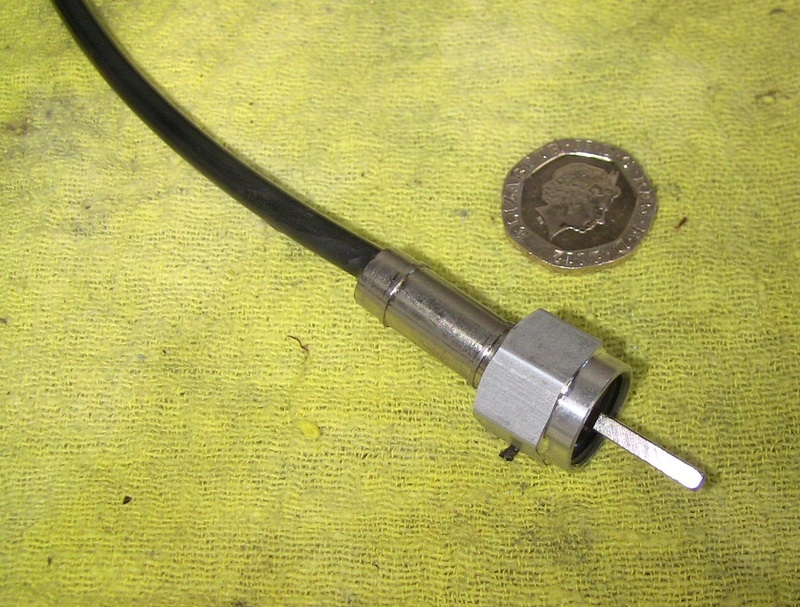 Gearbox type transducer cable. 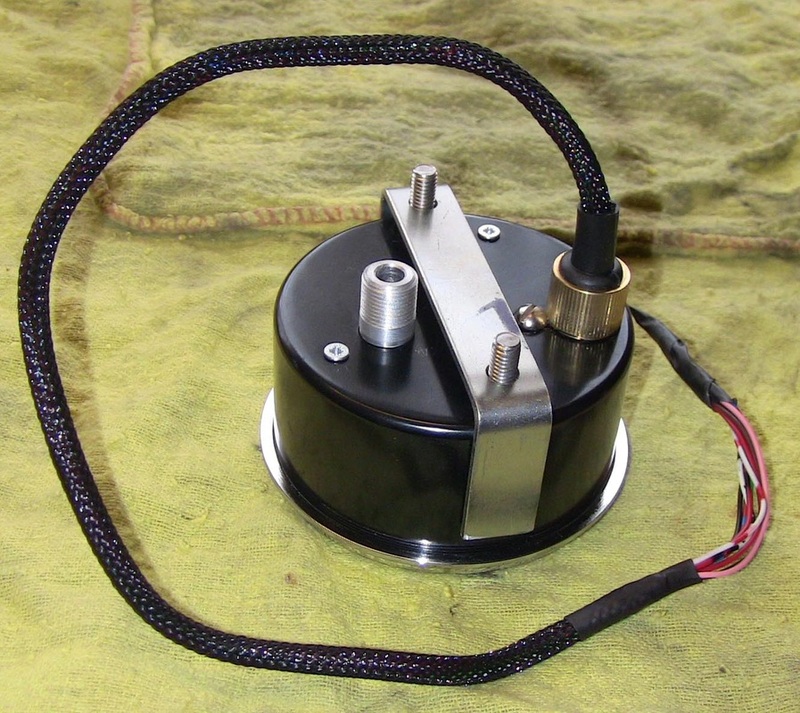 This comes with a small brass sleeve that fits over the square shaft. This brass sleeve is important as it ensures the drive is a snug fit in British speedometer drives. 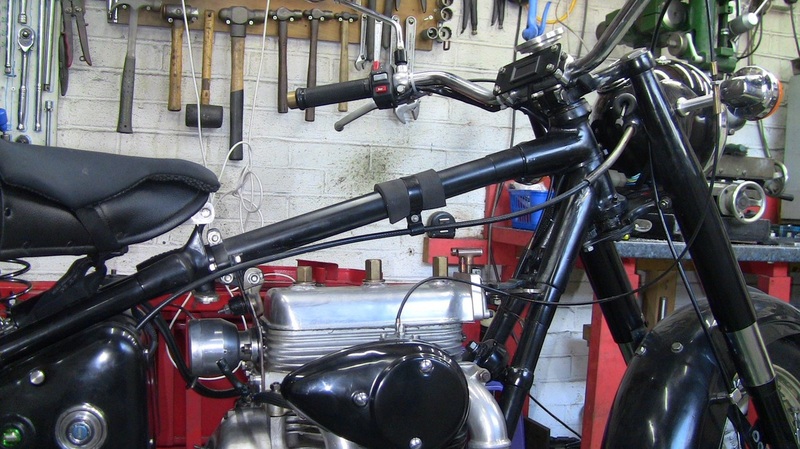 Make sure the brass adaptor is fitted up to the shoulder of the square shaft. Transducer fitted in gearbox using standard cycle thread fitment. 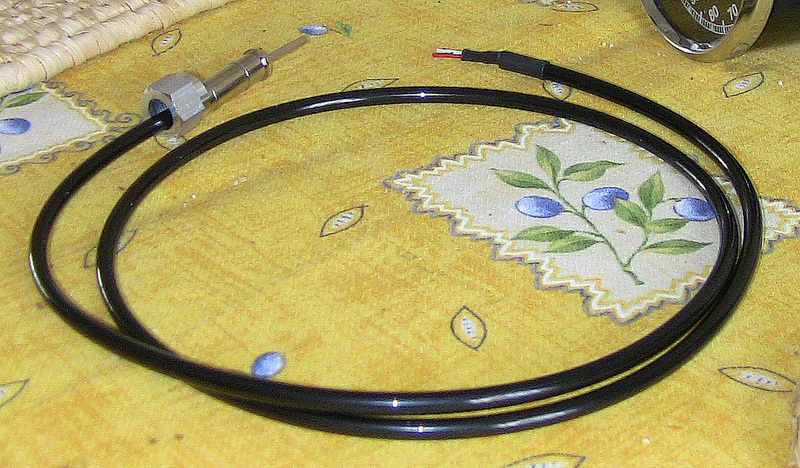 Thin cable coming out of top is two wires in a sheath to go to speedometer. Compare this with pictures below. View showing flush mount bezel. Front of instrument showing total and trip mileage window. The very high quality of build is apparent in the dial and needle. Rear of instrument showing it is electrically driven. 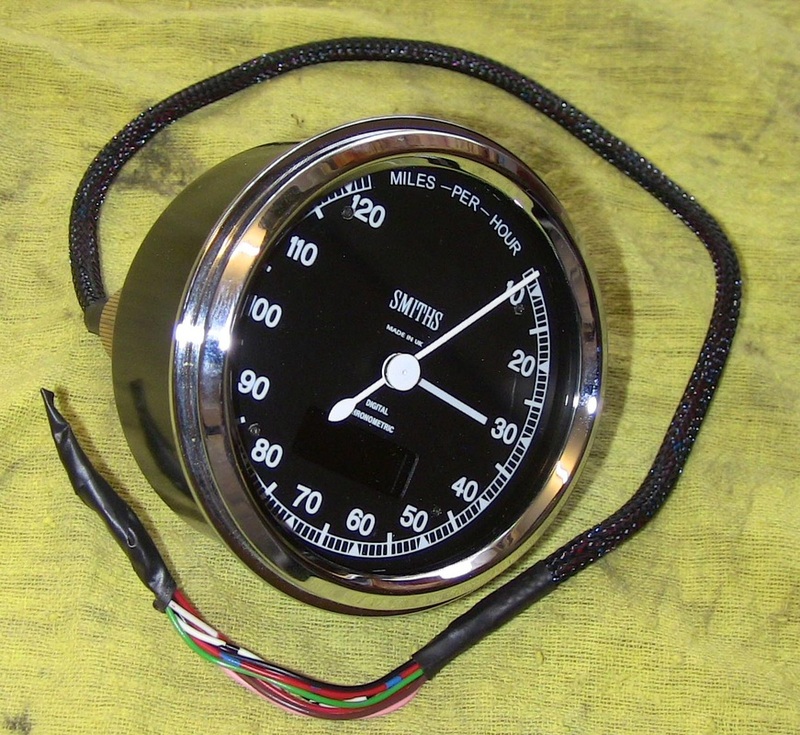 Wiring for speedometer is very simple. One pair of wires to positive ( 12 volt ) through ignition switch. One pair of wires to negative. One wire to lighting circuit. One wire to reset switch ( to earth ). 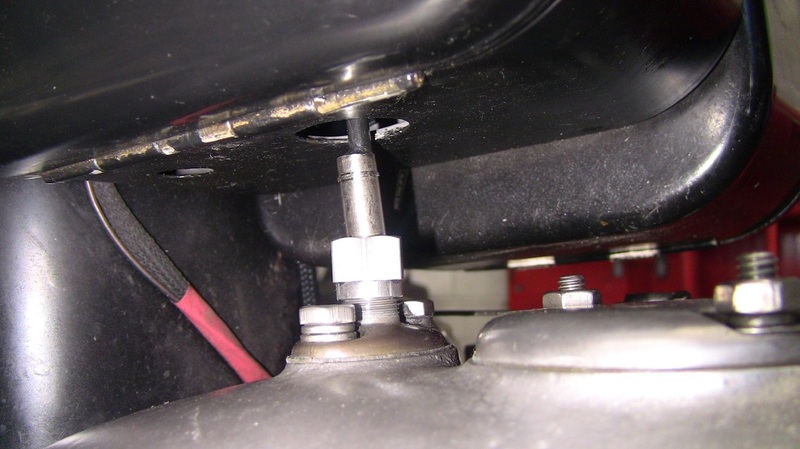 The speedometer spigot is a dummy and can be removed and a blanking plug inserted. Clever people these Smith's boffins ! The speedometer on a six volt bike. 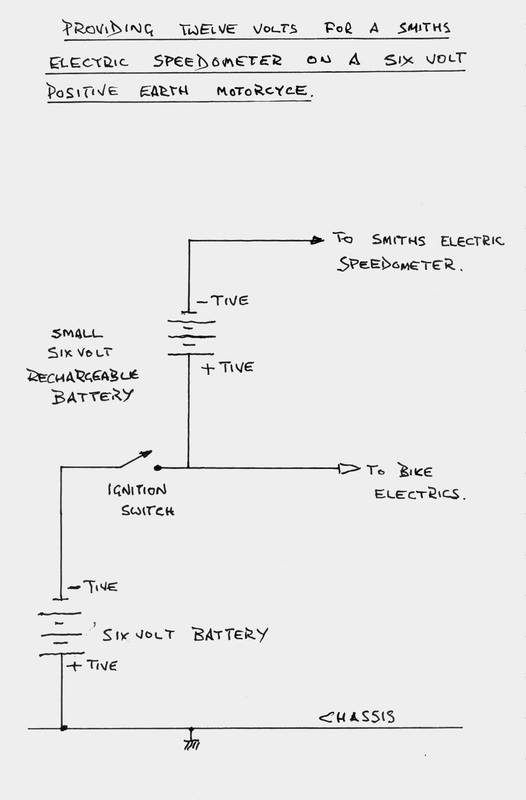 Small rechargeable six volt battery as used in burglar rechargeable systems will provide the very small current, around 40 milli-amps for the speedometer. The header picture shows the total mileage counter, so here is the tail picture showing the trip mileage.